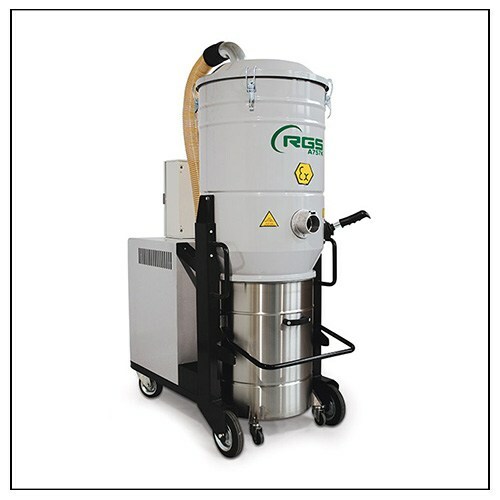 The industrial vacuum cleaners A757KX1.3D and A757KX1.3GD are suitable for the use in environments with explosion risk, classified as Atex zone 2-22. Electrical control box integrated as standard (only for 3D version), star filter Ø 560 with big filtering surface of 3.4 m², possibility of installation of the whole range of RGS option kits. Available with three-phase motor with 5.2 kw of power and equipped with removable container with 100 lt of capacity.